Yes, this is the home page for The Highwaymen, the popular folk group from the early 1960's that recorded Michael, Row the Boat Ashore, Cottonfields, and The Gypsy Rover. Our latest release (only 28 years old!) is now available as a download (sorry, no CD is available) from the usual music sites (iTunes, eMusic, Spotify, etc.). 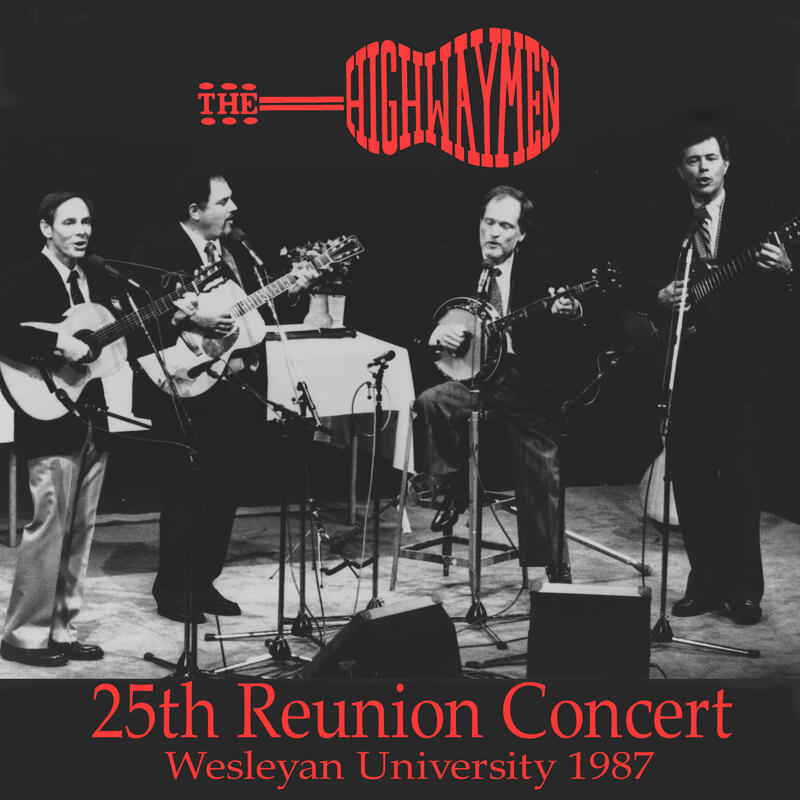 It is a complete recording of our 25th Reunion concert at Wesleyan University in 1987, and it was only the second time we had gotten together to sing since 1964. It consists of 14 songs and an extended spoken introduction to the group. One of the songs, never before released, is our rendition of James Taylor's "Sweet Baby James," and together with the first live recording of "Number 1," represents our migration from our 1960's roots to our later work in the 1990s and 2000s. After Dave Fisher's death in the spring of 2010 [click here ], and the loss of Bob Burnett scarcely a year later [here ] , The Highwaymen regretfully decided to end their 52 years of performing in public. (For a full statement of our reasoning, click here ). However, we wanted very much to keep the Highwaymen name and memory alive and so we continue to maintain this website and to make our recorded music available, both from here and on standard music sites such as iTunes.com, eMusic.com and others. In fact, a half-dozen or so new songs not yet released exist on live recordings, and we regard the release of the 25th Reunion concert as a down payment on these tunes. So, enjoy the site. We have music you can buy or just listen to, pictures of the group and us individually, a history of the group, and a page of links to the websites of our friends who love all kinds of folk music. Do feel free to drop us a line with suggestions about the site or anything else at webmaster@originalhighwaymen.com And thanks for checking in!